Looking for an Excellent Quality, Value-Priced, Soft, Durable, Lightweight, EDGELESS All-Purpose Terry Microfiber Towel? Then you've come to the right place! 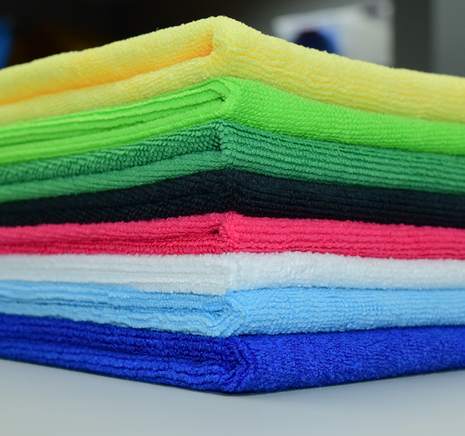 With an endless amount of different uses, The Rag Company's miracle cleaning microfiber terry towels are the #1 choice for Cleaning, Scrubbing, Dusting, Mopping, Drying, Detailing, and Wiping just about ANYTHING, ANYWHERE, ANYTIME you need Dust, Dirt and Germs ELIMINATED. Don't need a whole case? Please visit our Retail Section for everyday extreme value, tier quantity pricing on Edgeless 245 All-Purpose Microfiber 16 x 16 Terry Towel. Buy in bulk they are worth every penny. I bought a heap of these in different colours, I was really happy to have finally found a high quality white towel for interior cleaning which nobody seems to make. I also bought a few blacks for really dirty jobs, and light blues for coating removal. This towel is a great tool for all those jobs, and I'll be back for more! Edgeless 245 16" x 16"
I ordered a few of these 245s in white for interior detailing of my cars. I like to use white for interior work as I can see the dirt (or, hopefully, lack thereof) as I progress. These are just the right size and heft! Great buy.